The Chai Center is an organization that has been dubbed "People Helping People". No matter the person, religious affiliation or origin, The Chai Center has virtually something for everyone. 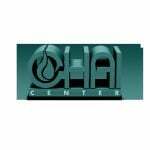 Founded in 1991, The Chai Center was an alternative hang out for teens and young adults searching for place and meaning. As time went on, The Chai Center saw the needs of the community were great and stepped up to the challenge. Today, The Chai Center has social, school, immigrant and teen services. Five full-time rabbis, four part-time rabbis and over 800 volunteers serve the needs of the Jewish community in the greater Montreal area. Whether a special-need child needs a helping hand or a confused teen or young adult needs a shoulder to lean on, the Chai Center caters to their needs. If an immigrant needs a day's meal or a young adult is looking to have a good time, the Chai Center is here for them. Our mandate is "no task is too big and no Jew is too small". Our goal is to make Montreal and its suburbs a better place to live in, a place where G‑d can call his own. Joining our colleagues throughout the world we will make the world a better place for all, ushering in an era of peace and tranquility. Please visit our site and come back often.